We’re hosting an In The Presence of Positive Women (IPPW) Event tonight – June 26th from 7:00 – 8:30 pm. All customers are invited to attend free of charge. It will be a casual and fun event. We’ll exchange tips, techniques and strategies for beauty success. Yes, those simple ideas that make a huge impact on how we present ourselves on the outside. No services tonight, just girlfriends getting together to meet, chat and get to know each other…all while learning about some great new ideas on beauty. If you can attend, please RSVP so we know you are coming. Also note note that there is a Fischer Cats Game tonight and that may cause parking issues as the building owner wants to charge for parking! There is usually space over at UNH or other locations within a short walking distance. 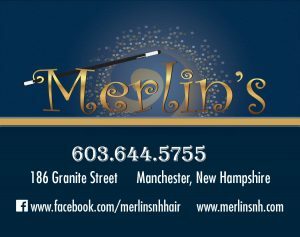 If you feel you can’t walk, then let the parking lot attendant know you’re there for Merlins and cannot walk across the street! If that fails, call or TEXT Linda Kaye at 603-860-6565 and she will coordinate a shuttle.